Used to Switch a Monitor Between two Systems. 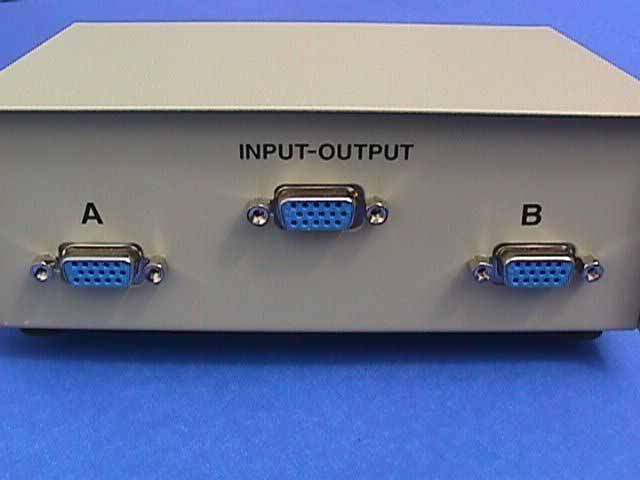 A computer switch with 3(three) HDDB-15 female connectors. Used to share 2 (two) CPU's with One Monitor. Manual Mechanical Rotary Dial Switch.